David Cameron’s leader’s speech at the Conservative party conference in Birmingham sealed the Tories 2012 conference in emphatic style. Reading from autocue, and stumbling more than once or twice, the Prime Minister gave a well-received speech to the party faithful. 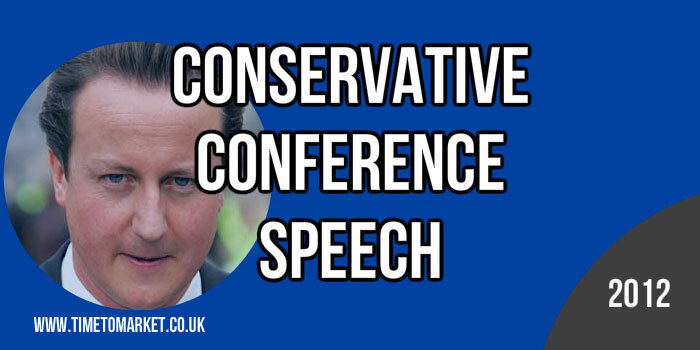 Because this was a very traditional Conservative conference speech. Two and a half years later of course I can’t tell you that all is well, but I can say this: Britain is on the right track. In his speech he also took the opportunity to thank a whole stream of people. They included the Queen, Boris Johnson, Lord Coe and the armed forces for all their London 2012 efforts. So glad that he and Boris are still talking to one another after their contrasting Paralympics speeches. Then his speech set out to explain how the country can compete and thrive in the world. He segued these sections into one another…but he could have helped his audience with some more logical links. The speech brimmed with rhetorical device, sometimes at the expense of policy detail. David Cameron is particularly fond of the Not this, but that technique in his speeches. Today’s conference speech was no exception. Let me put that another way. We don’t preach about one nation but practise class war …we just get behind people who want to get on in life. We say we’ve got to get the private sector bigger and the public sector smaller…our opponents call it ‘Tory cuts, slashing the state’. No: it’s the best way to create the sustainable jobs people need. Labour: the party of one notion: more borrowing. I sometimes wonder if they know anything about the real economy at all. Mr Cameron is very fond of story-telling, as are the other party leaders. But unlike Mr Miliband’s Manchester conference speech this speech brimmed with stories relating to the NHS, world trade, the economy and his own background. This technique allowed him to place his thoughts into some context for a wider audience. By way of peroration the speech became more staccato. The Prime Minister spoke faster and faster as he hit the main points again and again. It’s a familiar technique for the Prime Minister and he proved its worth. Deliver and delivery are favourite jargon words of government at all levels. We picked up on it last year with the David Cameron AV speech. But, now it’s becoming tedious because it’s nonsensical. Some deliverance from this word plague would be welcome. 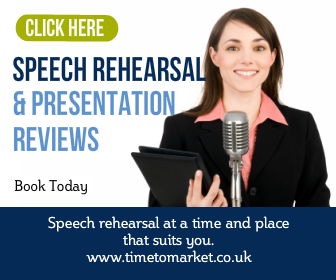 We have a whole range of public speaking tips ready for when you have to give a conference speech. 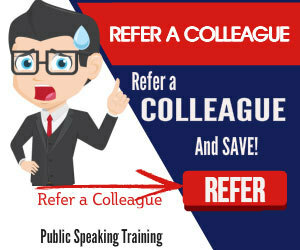 And so you are really prepared, you can also plan for a public speaking skills refresher. Because this half-day coaching session will give you the skills and confidence to make a success of your conference speech. So, please don’t hesitate to get in touch when you are ready.